Welcome to Moth Removal Holmfirth. We can help with any Moth Removal problem. Moth Removal Holmfirth offers a reliable and efficient Moth Removal & prevention service in Holmfirth and surrounding areas. We aim to provide a pest free environment for your commercial business or domestic premises. 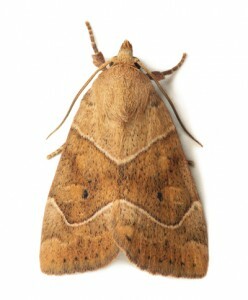 For a quotation, free survey or advice please contact Moth Control Holmfirth on 07540722770. Or complete our online form for a Instant Response to your enquiry. There are several species of moth which are also known as common textile pests. •	The Brown House Moth is the most common, about 8mm long with gold wings flecked with black. •	The Common clothes Moth is 6 – 7mm long with pale golden wings fringed with hair. •	The Case-Bearing Clothes Moth is duller than the common clothes moth and has 3 dark brown spots on each of its wings. The adults do no damage when feeding. It is the larvae which hatch out and eat wool, hair, fur or feathers – with a preference for blankets, wool carpets, wool garments or upholstery that have been soiled with perspiration or food. In domestic properties they are more associated with high quality carpets that contain a large percentage of cotton or wool fibres. The damage tends to be underneath items of furniture that are difficult to move on a regular basis when vacuuming. Sensible precautions include thorough cleaning of woollens before storing them, vacuum and clean carpets especially around the edges and under furniture. We can treat using an insecticide spray to affected areas and garments, which will kill off the larvae stage and stop the problem from escalating. We cover the following Moth Removal Problems. Moth Control, Moth Control Quote, Moth Control Price, Moth Control Costs, Moth Fumigation, Cheap Moth Removal, Guaranteed Moth Control, Moth Exterminator, Council Moth Control Costs we also cater For Domestic and Commercial properties throughout Holmfirth.